Continuing my special feature week at The Writing Nut - today is the interview! Want to know more about the Ninja Captain? Want to see why I claim to be a man of few words? Then visit Nutschell! Double treat today – I’ve interviewed my buddy Andrew Leon of Strange Pegs at the A to Z Blog. Every other Wednesday is a challenge participant feature and Andrew poured so much into his theme of Fiction to Reality. Fascinating stuff so check it out! Win a print or eBook copy of Jeremy Bates’ latest, White Lies – go HERE for details or visit Goodreads. Giveaway open until July 24. Carol Kilgore’s first book, In Name Only, launched Tuesday. Congratulations, Carol! Hope you are still on a high from all the excitement. May your sales go through the roof. You rock! Rachel Schieffelbein revealed the cover art of an anthology coming out soon that features one of her stories. Congratulations, Rachel! Nicole Zoltack’s short story, "A Land without Zombies," is going to be included in Spencer Hill's Holiday Magick anthology. Congratulations, Nicole! Special Feature - RasShelle ROCKS! You may have read RaShelle Workman's first novel in the Immortal Essence series entitled "Exiled." If not, check it out, it's free on amazon. If you have read it, and are anxiously awaiting book 2, "Beguiled,"or haven't read it, that's okay. She has a new series out. Blood and Snow. Each volume is novelette length. 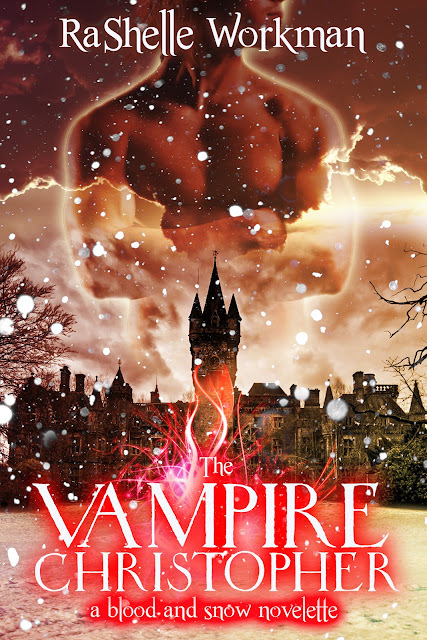 Book 1 is "Blood and Snow," book 2 is "Revenant in Training," and book 3 is entitled "The Vampire Christopher." All three are now available. To purchase Blood and Snow, click HERE. 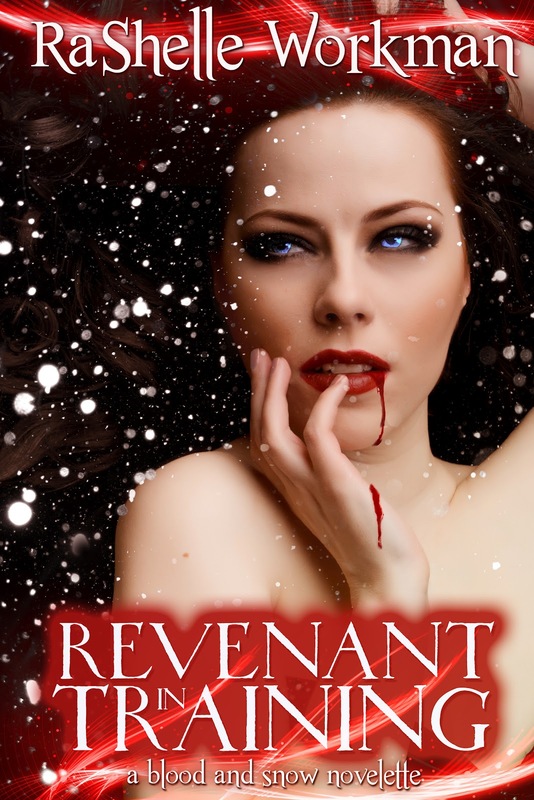 Revenant in Training (book 2), is FREE from July 11th through the 13th. Pick it up by clicking HERE. And, The Vampire Christopher (book 3), click HERE. 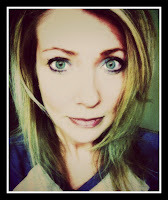 About the author: Lover of books, baking, and toffee-making. The author of Aligned: An Immortal Essence Short Story, Exiled, Sleeping Roses, and the BLOOD AND SNOW series. Honorary nerd with attitude. Anyone have an answer for this? There are two blogs that way back when I followed them, they had GFC in the sidebar. That has since been removed and no matter how many times I unsubscribe in Google Reader, they keep appearing again. (And in case you’re wondering, they are science fiction bloggers who never returned my follow and pump out blog posts like there’s no tomorrow.) Any other tricks I can try to permanently remove them from my Google Reader? Just a couple easy questions this time! What is the highest grossing animated film of all time? Three films are tied for most Academy Awards at eleven Oscars each – name them. Whoa! So many cool new books. Which ones are you picking up? Any idea how to unsubscribe permanently? Know the movie trivia answers? Think my Writer Superpower really is Duplication? Don’t forget to visit The Writing Nut. Congrats to Jeremy on releasing White Lies, hope it goes well for him. Here are my answers to the Movie Trivia questions. 1. Was it finding Nemo? I've never had any problems deleting blogs from Google Reader - so I'm answering your question with a completely pointless 'I don't know'! I am not even going to attempt the Movie Trivia this week - I never do well. Good to see so much good writing news going on! Great interview with Nutschell, Alex! Nice to see the Ninja with his weapon of choice. CM, you got one right, although your guess for overplayed song is really good! The Lion King? Maybe you've got Ninja androids on timetravel fact finding missions? You know... the secret ones, hehe. I'm off to the Writing Nut to find out! unsubscribe on Reader AND the blogger dashboard. That usually does it for me. Thanks for the update on RaShelle's new book! Super. Three films tied for most Oscars: One flew over the cuckoo's nest,Ben Hur, and ? Song used most: I hear music from The Fugitive frequently but doubt if that is what you mean, LOL. I'm off to check out the Writing Nut's interview. Congrats to Rashelle and all the authors you mentioned! Jeremy's book looks interesting. - Gone With the Wind, Titanic, and Ben Hur? So many questions!! I don't know about removing the blog--I've had a couple that I've also tried to get rid of but they don't want to go away. Andrew Leon is also at my blog today with an important issue to discuss. Those books look great. I'm lost on the trivia today. And I have no idea about making stuff disappear in Google Reader. Sorry friend, not much good at all toady. Lots and lots of great stuff going on! And a massive congrats to Carol! Huntress, how does one unsubscribe through the dashboard? I've not seen an option there to do that. Your posts are always full of fun stuff. Congrats to all the authors. And haven't a clue about GFC. Ohh I haven't read Exiled... going to check it out. thanks for sharing. I'm so excited for Carol! Yay!! Hmm, don't know any of the answers to the trivia question. I'm purchasing Carol's book today. I don't read vampire stuff. And sorry, no clue about GFC. Great news! I love RaShelle's covers. I have no idea how to unsubscribe permanently. Weird how they keep popping back up. That's an awesome book cover! On Google dashboard - upper right side has tool symbol. Go to reader settings. Check the box on the blog you want to delete and hit unsubscribe. If you only do it from the blogger dashboard it never goes away. Big congratulations to Rachelle and Nicole and everyone else! I think there must be at least a couple of you with all you accomplish! I wish I had duplication powers. Ciara, it's the second, sadly. Hope I don't lose man points now. Laura, I will try that - thanks! Alex Andy's blog is great so I'm headed over to A-Z. What a great idea for a mashup: Snow White and vampires. It opens all kinds of possibilites. BTW I'm having the same problem with Google Followers that remove the widget so I'm going to find the answer. I thought it was just me. If I find the answer before you do I'll let you know. Lot's of wonderful news. I really love how you keep up with everyone's news. As far as the blog posts that keep coming up in Reader...I find that a well-placed piece of duct tape on my computer screen helps. Just scroll down until the post is behind the tape. Wow, lots new books. Jeremy's White Lies awaits in my kindle. No idea on the trivia. A vampire in the body of Snow White? Sounds fascinating! Oh my word. You stumped me on the movie trivia. can't wait to see the answers. I might just have to google them since I can't wait 'til Friday. LOL!!!!!! highest grossing animated movie, and I suppose avatar doesn't count. Disney's Lion King. Return of the king, Avatar, and Titanic. I am very bad at unfollowing people, so I can't help you there. I don't know the movie trivia answers, but I'm looking forward to hearing them. I love animated movies! Blood and Snow sounds awesome! Can't wait to check it out. Nice posting and great interviews. If they are postings coming to your inbox you have to go to the bottom of the email and unsubscribe there. Are they listed in your Blogger dashboard too. If they are, I would delete them there too. I dunno. That's annoying. Congrats to Jeremy Bates, Nicole Zoltack and RaSchelle Workman. I'll have to stop by their blogs again! Just as it has always been Chevy or Ford ... The Beatles or the Stones ... it is Fender or Gibson. I'm a humbucker man myself, but since my idol, Jimi, played a Strat (most of the time), you're still okay in my book, Alex. RaShelle's books do look interesting. And her covers are fantastic. How do you fit everything in one day, Alex? You are astounding in your blogging skills. I'll be looking forward to the secret of unsubscribing in Google Reader. I also have a few that must go. I love the cover art. Okay downloading this book tonight to start reading it. Thanks for the heads up Alex. You are always in the know. Now off to check out Andrew's interview. Alex - Thank you for hosting Blood and Snow today. You are such a rock star!!! I'm honored. As for the trivia.... no idea. those book covers are awesome! And the books sound great! I have no idea how to remove the blog! I've given up on such social media details. Can't do it. My goal is CALM!! I feel calm when I come over here to see your colorful place in bloggerland. Just stopping by to say hello. New book: I just downloaded my good friend Carol Kilgore's book to my iPad and am excited to read it. I love suspense. Can't do straight romance unless it's highly unusual, which it can be when it's mixed with suspense. You did romance the second time around, which I liked! Hope you and your family are having a good summer. On the East coast, we're burning up, though it's in the 80s today and feels like heaven compared to the 107 in the D.C. area on Sunday, where my daughter and I were for the day. Wow! Is the power of Duplication mean you can be more than one place at once? Don't know how to permanently delete. Sorry. Love, love ALL of RaShelle's covers!! I can't wait to find out the answers to your trivia questions. I have ideas but no answers. Will be fun to know if any are right. Off to The Writing Nut. WOW! You always have so much great information I don't know what to comment on first! I'm excited about RaShelle's new book though. Sounds awesome! Kathy, it's been there in my bio all this time. Maurice, deal! I'm going to try Laura's suggestion first. Gossip, no these are just ones in Google Reader. Tonja, Laura told me how to do that so I'll try. Christopher, that's good to know. Patricia, I'll let you know what works! Hey Ann! Glad it's calming. And thank you! Shrek 2 is the highest grossing domestic, non-adjusted for inflation, animated movie. That's why there've been four of them, and Puss in Boots. Ben-Hur, Titanic, and Return of the King each won 11 Oscars. Bad to the Bone may be the song Alex has in mind. Next to the View in Google Reader link on your Blogger Dashboard, there's an icon that allows you to Manage Reading List. From there you can delete blogs you don't want to follow anymore. 2. Ben Hur, Titanic, LOTR: Return of the King. 3. I'm going to guess "O Fortuna" by Carl Orff, only because it's in damn near every movie trailer these days. Such a travesty. lots of wonderful things in this post... i read it three times to get it all in. damn you google reader! Ooh those are steaming covers! Congratulations to these awesome authors! I'm so stoked you're on my blog today and I love that rockstar picture! Happy Birthday? Probly not. Lame guess but there you have it! My best to Jeremy with his giveaway. I hope his writing gets the exposure it deserves. I'm pretty sure two of the Oscar winning movies are Ben Hur and Titanic. And this probably isn't it because it's an oldie, but I'm going with one of my all time favorites - Bambi. No idea at all on the song. Tony, it's up there, but not the highest. Got the Oscar winners though. And thanks, I'll look for that icon. Joshua, got all but the last one. Although it's not official, so who knows? Hope, it has been used a lot though. Nutschell, thanks again, even if you made me fork over an image. Suze, I bet that one's the real winner. LD, you're right on the Oscar winners. I think your issues are just glitches from google, and there's nothing you can do about them. I have similar problems with some blogs. Yay for all the great news! That's so exciting book three of RaShelle's Blood and Snow series is out. I just read the first one last week, so I'm excited to keep reading. Is the ranking for the animated film taking into account inflation? If it is, the Snow White. Great interview, Alex. I like to have music playing while I write, too. It's very inspiring, as are movies & TV. The more I read about you, the more I see we have in common. And while we'd all like to believe you do have Carrie's power of duplication, we know how hard you truly work. You're everybody's idol! I love seeing all that great news about blogger buddies. Thanks so much for the updates Alex! Love that cover for RaShelle Workman's novelette! I like the snowflake element that unites all three covers, and I also really like the font used for her name on the cover. On your Blogger dashboard, scroll down to where the Reading List is. On the right, next to "View in Google Reader", there's a settings button. If you hold your mouse over it, it says "Manage Reading List". If the two blogs you want to get rid of are on that list, click "Settings" next to each one, and in the pop-up window click "Stop following this site". Soooooo soRRy Idk the answer to any of your Q's--guess I'm not that smart:-) I do, however, think you'd make a great movie character w/ your super ninja powers! it's not a real solution, but in Google Reader, I made a folder for one similar blogger I couldn't dump. All those posts go to a folder and I just delete the posts every once in a while. That way they don't mess up my stream. Have ordered Carol's book and am looking forward to recieving it. You certainly are great in getting people interested in other blogger's works. Couldn't answer your movie trivial...sorry. Ps: God Willing am coming across the pond in Nov, just a short trip to New York, Hope I will feel better by then. Nice movie trivia! I'm very curious about the answer of your 3rd question. So many books! I can't keep up! I have problems like you--deleting blogs. I'm going to come back and see what the commenters have come up with for solutions. I need to pop into your gp from the other day too ... I get forgetful. Great to see so many folks publishing in our group. I've not run into that glitch on Google reader yet. Maybe put them in a folder of unfollows or something. I'm terrible at movie trivia. I'll guess Fantasia for the first one though. Sorry, I have no answer for your question of the day. Google Reader surprise me again and again. And I always search options. Read your intrerview over at The Writing Nut and left a comment. Donna, no, but I can look for that answer as well. Thanks, Nancy. Now, if you were a D&D geek in high school, then the similarities will be frightening. Rachel, I will try that! Jemi, that is an idea if all else fails. SC, you got the top three right. Gorgeous covers on her books! Titanic, one of the Lord of the Rings and Forest Gump. No idea. I had an issue like that once. It frustrated me, but no answers! Song unofficially used the most? I'm gonna say Smash Mouth - All Star, as that seemed to be in nearly everything for about 7 years or so! My reading list is growing much faster than I can read! Congrats to everyone you mentioned Alex. Go! I urgently need fresh blood. Those are some seriously cool covers! Mega congrats are in order, especially to Carol! Such great news all around. You're always so great at spreading the word, Alex. Wish I knew how to answer your question! Sorry! Congrats to Carol! RaShelle's book cover is ST-EAAA-MYYYY. Congrats! Those are some gorgeous covers. I think Titanic earned that many Oscars. Great covers. Loved them all. Wow, enough info and things to do in one of your blog posts to keep me busy for a week! Off to check out a few of them. How about Toy Story (1) or Shrek? They're my favs anyway. I have also tried to unfollow and I keep not managing it so let us know if you work it out. I think you have to go to the Google Dashboard under Reader Settings to do it. 2) Titanic and Ben Hur for sure. Don't know the third. 3) "Bad to the Bone." My initial guess was AC/DC's "Back in Black," but I can recall Bad the Bone being in a bunch of movies. Shannon, you got two of the Oscar winners right. Jamie, that's probably one of them. Diane, that's one of them. Claire, you got one of them right. Jay, I did figure it out! Got two of the trivia ones and I know that song has appeared in too many movies. and I cheated and looked up Ben Hur, Lord of the Rings (3? ), and Titanic. and I have no idea . 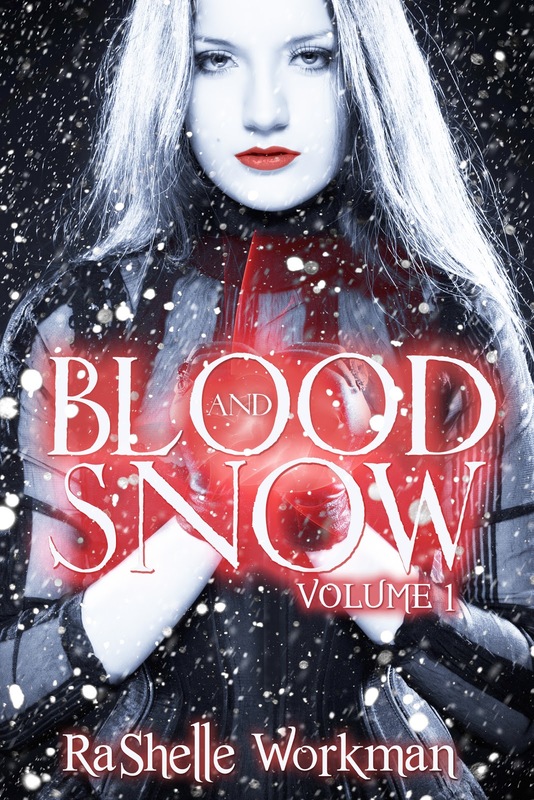 . .
Wow, Blood and Snow sounds amazing. Super intriguing premise while using a fairy tale. Rashelle's books look super interesting. The title Blood and Snow has me hooked big time. A lot of great questions in the interview. Was the animated movie Shrek? And the 11 Oscar winners: Ben Hur, Titanic, and Return of the King? I feel like I should know the song, but nothing is coming to mind. The spotlight at Nutshell's place is awesome. Whoa is right...when fully awake I will check these out! Great interview on the Writing Nut. It is good to get the back story. Mysterious photo though, rockin out with what looks like a Fender. Cheers. Hi, Alex. Great post, as always. Thanks for asking the question about blogs that no longer have GFC in their sidebars. I was going through the same thing with a couple of blogs I was following. I tried Laura Eno's suggestion and it worked. THANK YOU Laura! RaShelle is awesome! And all those covers are so gorgeous. Tyrean, you got Toy Story right. And speed is what makes me a good Ninja. Julia, just one of me, I promise. Michael, you got the Oscar winners right. Melissa and Ella, hope it was a good party! RaShelle's covers are so striking! Yay for RaShelle and her tantalizingly tantric book covers!! Those are hot covers for sure. As for Academy Award winners. I know two, The Lord of the Rings and Titanic (though for the life of my I don't know why Titanic's on the list.) I had to look up the third which was Ben Hur... Surprise, surprise! You said it, so many great books out there and amazing book covers too. I have no clue to the answers to your questions, but I'll guess at Shrek for the animated film? So many good bits of news! Thanks Alex! Thanks for sharing my news! And Rashelle's covers are gorgeous! Yes, it seems interesting that story without Zoltack Nicole zombies. No idea about Google Reader. That's so strange. I just downloaded Rachelle's book, squee! I've had that same problem with google reader, so if you find a solution, let me know! Kitty, I know, I know! JA, I know now - will post solution tomorrow. Gorgeous covers! Hope you find a solution to your reader problem soon. That torso on the cover looks just like mine! Except for the muscles. Wow lots of vampire blood...guess that's to be expected;) Also, I bet the most unofficially used son is "Happy Birthday." Susan, I'll have the solution tomorrow. Loved the interview on The Writing Nut. It was fun to learn more about you. Wish I had some helpful advice about google reader. Alas, I am just not attracted to vampires or bare-chested guys on my book covers. But fear not, many readers are! I am curious to know what song has been used in the most movies. I might have to google it and find out. Loads of stuff and loads of links. And, as per usual, I check them out and have been even known to leave one of my eagerly sought after comments on those sites. Aha, so you be continuing over at the "The Writing Nut". Excellent and I'm sure there is for quick reading about you, being a "a man of few words". First, I've got a zillion or two blogs that require my words of um 'wit and wisdom'. Then, I shall try to make it over. Good to see you bringing awareness of so many fine writers and bloggers. I've been trying to find a way to permanently unsubscribe, too. What I do is just de-select "Show followed blogs from Blogger" under Settings -> Preferences in Google Reader. It gets rid of blogs that aren't in folders, but I think GR would explode if I didn't. Awesome recap as usual. The Blood and Snow books have some great premises! Gary, that's why I'm here - to support others. Golden, I found a solution.